The Lowell Sportsmen's Club, Inc. Welcome to the LSC Gift Shop and Member Classifieds! 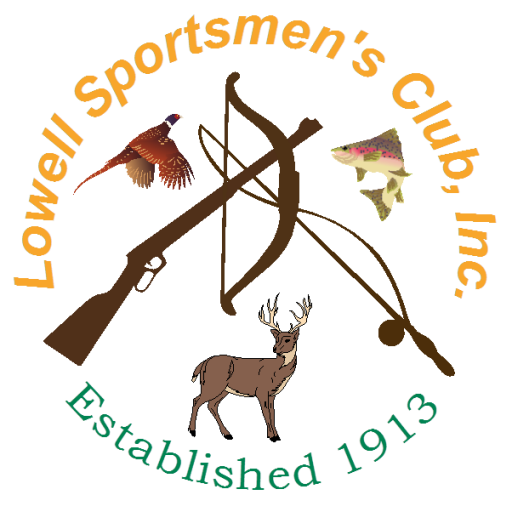 In the Gift Shop you’ll find Lowell Sportsmen’s Club merchandise, which is available for purchase at our monthly meetings, annual open house, and by special arrangement with Jim Martin, Caretaker. The Member Classifieds section is a forum for our members to list items they have for sale, and to post items they’d like to purchase. The members who use this forum are entirely responsible for these items and transactions. If you are posting a “wanted to buy” ad, include “Wanted to buy:” in the title of the ad, following by what you’re looking for. Provide additional details in the ad description box. Support the Businesses that Support the LSC! 2018’s July 4th Archery Challenge Winner!